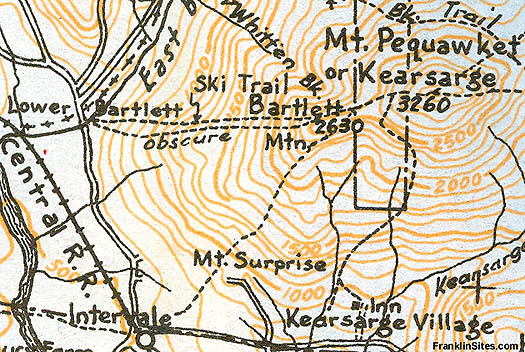 Bartlett, New Hampshire Overview A subpeak of Kearsarge North Mountain, Bartlett Mountain once featured multiple hiking trails and an alpine ski trail. In addition, there was also a small alpine ski area named the Intervale Ski Slope near the bottom of the CCC ski trail. 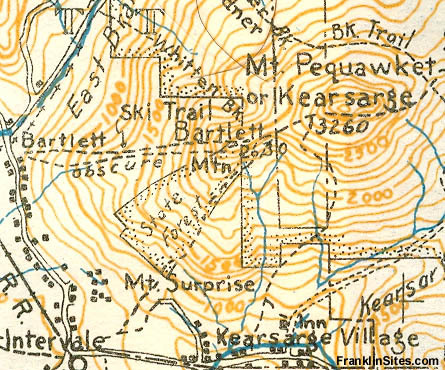 This CCC ski trail went from the Maple Villa Hotel in the Intervale section of Bartlett to Bartlett Mountain. The trail was abandoned sometime in the middle of the twentieth century.
" Maple Villa Ski Trail. This trail starts from the highway (N.H. 16, 18 - kept open throughout the year) opposite Maple Villa, between Glen Station and Intervale. It is from 15 to 35 ft. wide and ascends the N.W. slope of Mt. 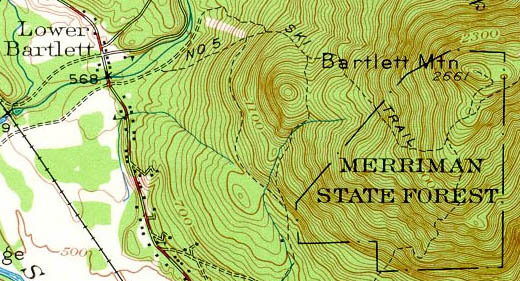 Bartlett to its summit. 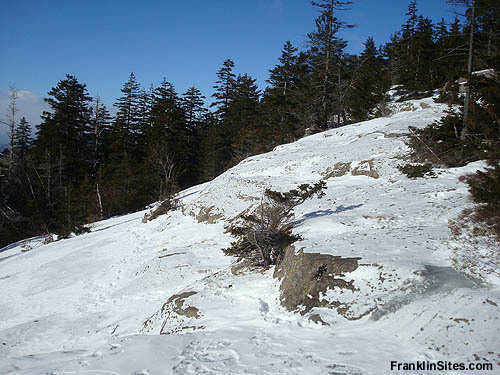 The drop is approximately 2,000 ft. in 2 1/2 m. Under conditions of a minimum of 8 inches of snow it affords a good run for intermediate and expert skiers on the upper two-thirds of the trail. The lower third is suitable for novices. " 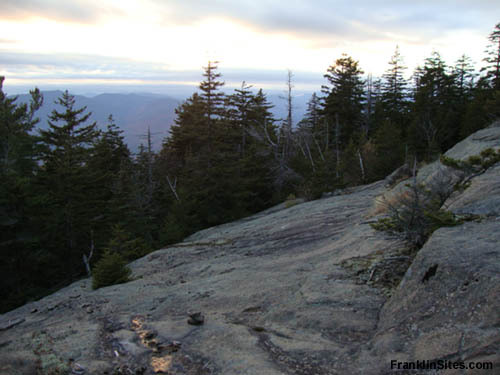 " In 1933, Emerson, aided by Dodge, Proctor and Carleton, got CCC labor to build the Maple Villa Ski Trail, the first up-to-date trail south of the Notch. 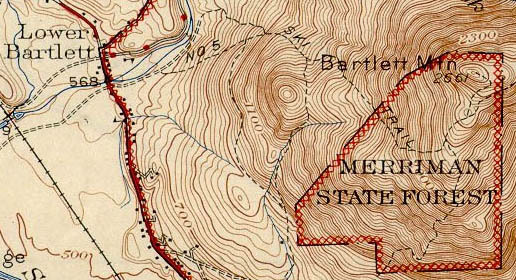 This event, the growing popularity of Dodge's camp and the earlier Boston snow trains roused the towns "
" Maple Villa Trail, E. from State 16 opposite Maple Villa Hotel in Intervale to summit of Bartlett Mt. Length 2.5 m. Max grade 26º. Lower section is gradual but becomes progressively more difficult "
" Maple Villa Ski Trail. This trail starts from the highway (NH 16, US 302-open throughout the year) opposite Maple Villa, between Glen Station and Intervale. It ascends the NW slope of Mt. 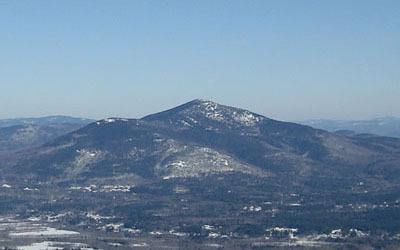 Bartlett to its summit. The drop is approximately 2,000 ft. in 2 1/2 m. It affords a good run for intermediate and expert skiers on the upper two-thirds of the trail. The lower third is suitable for novices. The Intervale Ski Slope (tow) is located on the E bank of the E Branch 1/4 m. from highway NH 16. " " Maple Villa (New Hampshire Forestry and Recreation Commission). Length 2.5 mi. Class nov., int. " 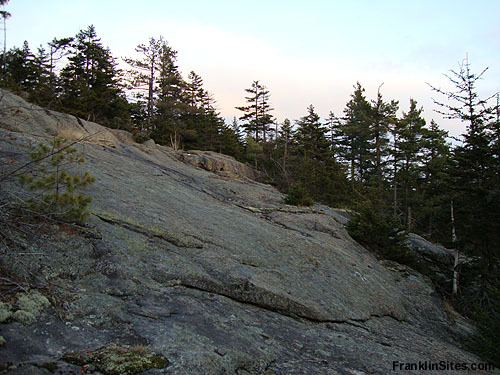 New Hampshire: A Guide to the Granite State. Boston, MA: The Riverside Press, 1938. New Hampshire Winter Map. New York, NY: General Drafting Co., Inc. 1947-48. Sprague, Marshall. "The Eastern Slope Calls the Skiers" The New York Times. 28 November 1937.